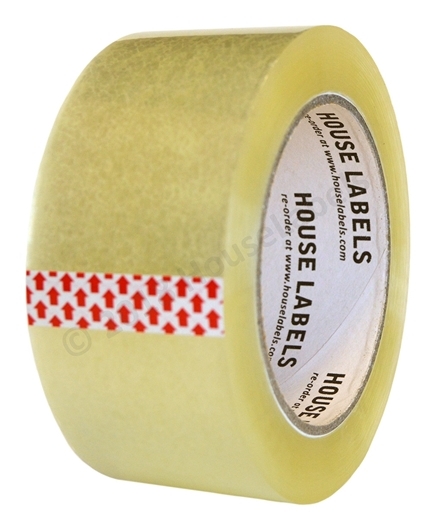 Easy to use shipping tape that will not split or rip during application. Perfect for warehouse boxes. Long length 110 yards (330 feet) to reduce the number of times changing rolls on dispenser. Quickly wrap large and heavy boxes with our tape with strong BOPP adhesive, but also light enough to easily tape small moving boxes, books, picture frames, and more. Designed to keep box seams closed during rough handling. 2 inch width fits fits most standard tape dispensers and tape guns (tape dispenser not included). Ready to Use. BOPP packing tape is made from biaxial oriented polypropylene (BOPP) film. Polypropylene is a thermoplastic polymer (which means it is pliable above a certain temperature, and returns to the solid state after cooling). Now, biaxial oriented polypropylene is a PP film stretched according to the machine direction and across the machine direction. This increases the strength as well as the clarity of the film. The structure also makes the automated and manual application of the packaging tape easier.